The benefits of curcuma golden milk tea are endless. 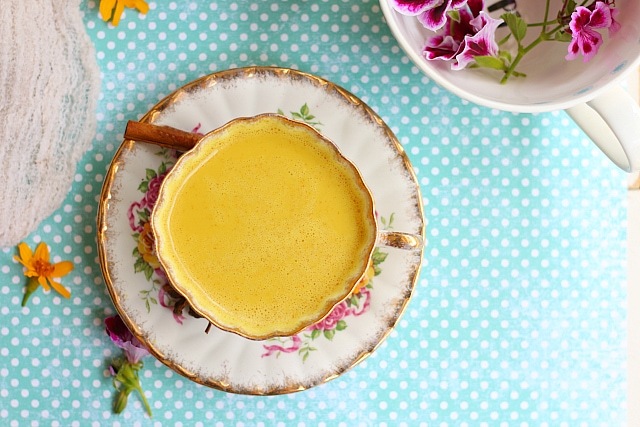 Rich and creamy, this vegan turmeric tea “golden milk latte” warms the body and the soul. Full-bodied chai spiced with cinnamon, ginger, and cardamom floats the scent of comfort in the air. Let me stop you right there before you sigh thinking “another” golden milk tea recipe. 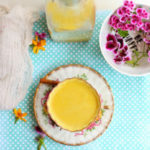 We all have seen the trends going on and turmeric milk is all over the blogosphere. And for good reason. Golden milk tastes just so da** delicious! Soon this milk will have to be turned into golden milk ice cream or overnight oats! It’s pretty awesome that golden milk is finally not a weird hippie thing. Golden milk tastes like a naughty sweet drink that one should not be having every day. But really, you should! 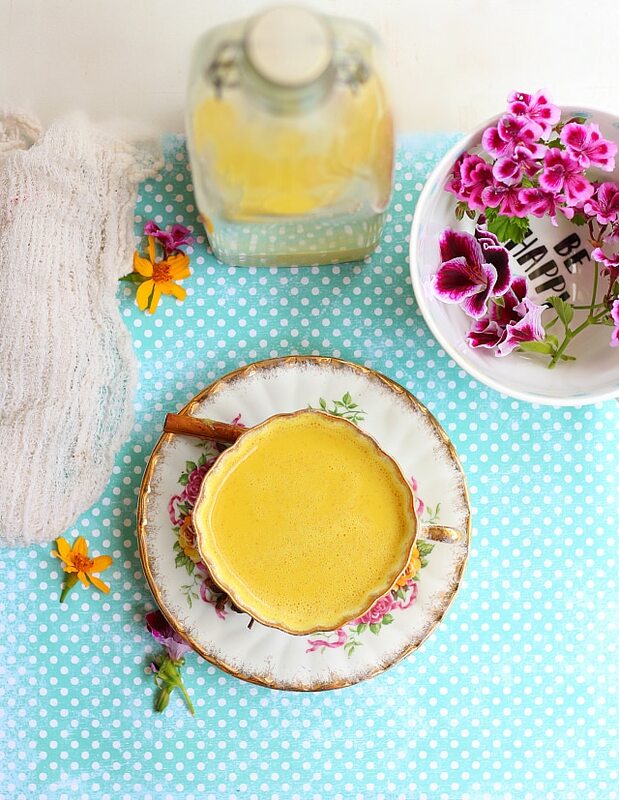 Let me start this golden milk tea recipe by sharing why I love golden milk so much! If you are regular on my blog you might recall me mentioning before that when my husband and I first married we were informed that getting pregnant would be a challenge. I had these ugly little cysts that were causing the problem. Darn little guys! At 26 I was far from ready to have children, yet knew it was in our future at some point. The solution for me was to seek holistic healing. The difference between Eastern and Western medicine is that Western usually works a whole lot faster. Imagine when you take Excedrin for a migraine. It works within 20 minutes! Or no immediate relief and wait to see the problem corrected after about 18 months. Eastern healing can take months, even years, but the underlying problems that are causing the main issue, when fixed, are well worth the wait! My doctor had me drinking warm lemon water tea every morning right when I woke up. This jump starts the body and cleans out the organs. 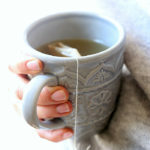 Then another tea 3 times a day with a whole bunch of herbs in-between and lemon cucumber water throughout the day. One of the main herbs that stuck with me was turmeric. 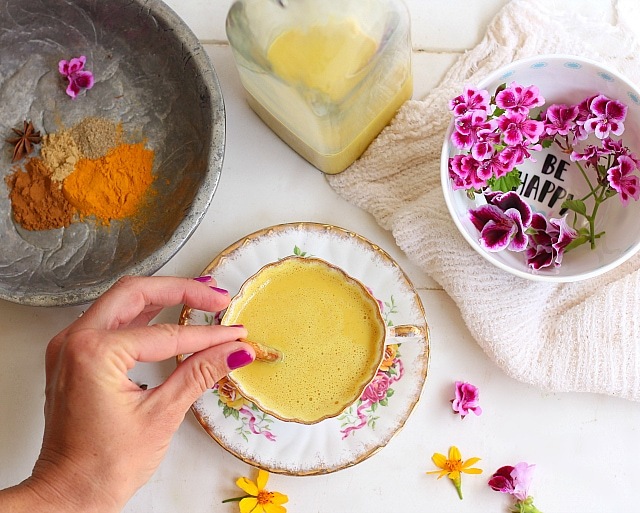 One of turmeric’s healing factors is that it can shrink fibroid tumors and cysts. Not sure if it was the turmeric or God or both, but I pray in gratitude everyday my two little boys! Turmeric is the super spice that I put in eggs, chicken broth, potato salads, over oatmeal and in my comfort golden milk tea. My favorite way to make this is with cashew milk. Feel free to use whatever dairy-free milk you like such as hemp, oat, almond or coconut milk. The spices are what make it taste just like a dairy-free chai tea late. 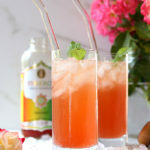 With a splash of Stevia sweetener or honey it is practically sugar free! Most spices and herbs contain antioxidants and bioflavonoids, which may lower the risk of cancer, heart disease and stroke. Plus dairy-free milk is loaded with calcium, vitamin D and other essential vitamins and minerals. Ginger is popular in Asian dishes, ginger ale and eases nausea. 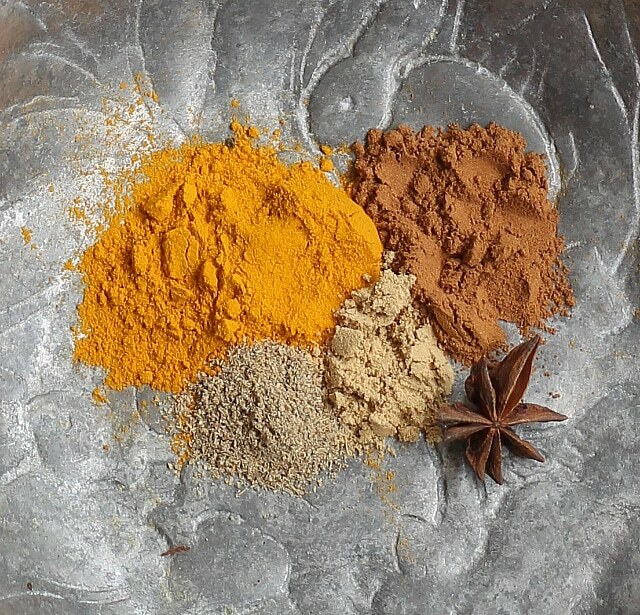 Turmeric is an essential ingredient in Indian curries. It is a natural antibiotic use to treat inflammation and digestive disorders. It also good for diabetes, digestive problems, Alzheimer’s disease, shrinking fibroid tumors, Osteoporosis, weight loss, and cancer. Cinnamon is an ancient spice from dried bark. It relieves bloating and gas. Black Pepper, if sniffed may help prevent fainting attacks. And it actually helps the body absorbs nutritional benefits of turmeric and other spices. Cardamom provides gastrointestinal protection, cholesterol control, control of cancer, protects the cardiovascular system, and improves blood circulation in the body. Star Anise has a licorice flavor from an oil containing anethole. Anethole has been long used in cough syrups and as a digestive aid. All it takes is a small amount of the spices to make this glorious super-food drink. It’s like a yummy vegan chai tea late. 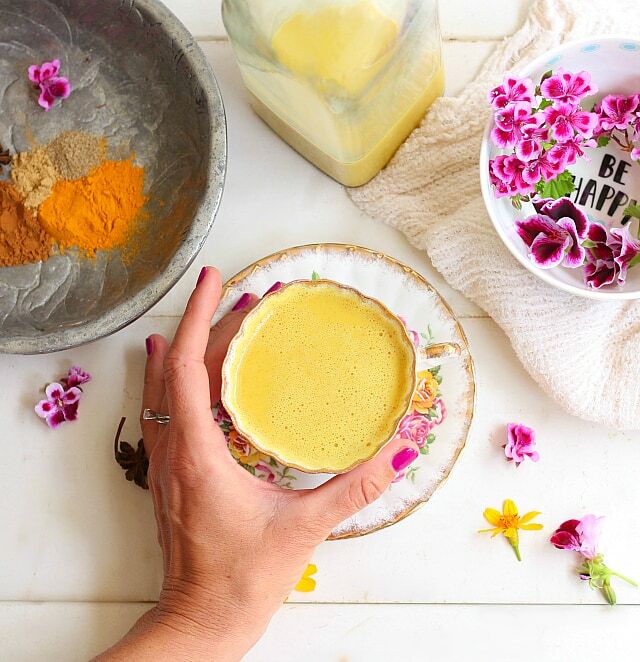 Most golden milk recipes have coconut oil added, so if you’d like, add 1 teaspoon of coconut oil or MTC Oil for extra flavor and health benefits! I love to make a large batch of turmeric golden milk. Then your sweet dessert treat is ready each night to drink as tea enjoy it for breakfast in cereal or with oats and muffins. 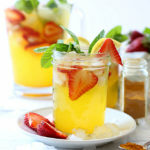 Cheers to drinking to better health! In a pot on the stove-top add all the ingredients and heat on medium-low. Whisk continuously to blend all the spices until heated. I made the Turmeric and Honey golden Milk oatmeal for breakfast today. I used your recipe for golden milk also. Made it all vegan. It was delicious. I will be looking at more of your recipes in the future. Thank you. Thank you! 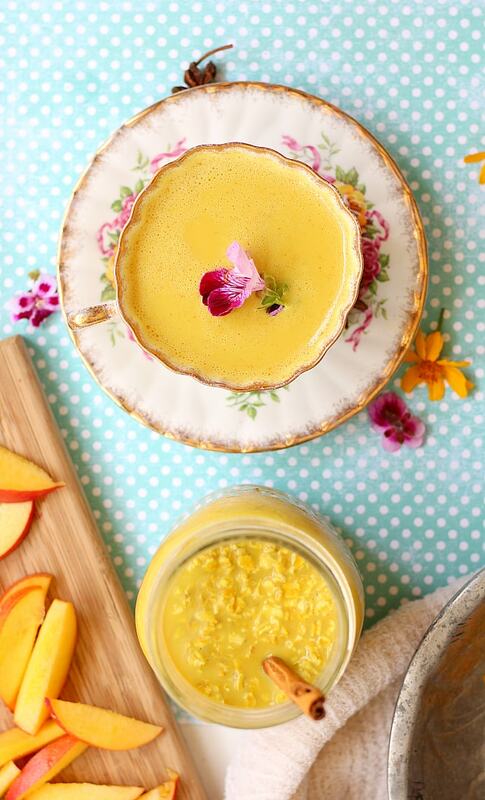 So glad you made and enjoyed this Turmeric and Honey Golden Milk Oatmeal! Look forward to hearing how you like more recipes!